Don’t forget, this Wednesday the 25th I’ll be at theBryant Library in Roslyn, 7:30 pm, to discuss books and baseball and uniforms and other stuff. Stop by if you can… and tell your friends! 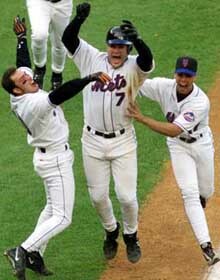 John Christensen wasn’t destined to last with the Mets. 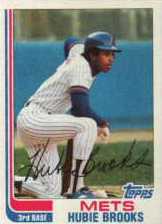 He was assigned a pitcher’s number – 35 – upon his promotion as a rookie outfielder in 1984 and assumed a player’s number only afterJoe Sambito arrived in 1985 and requested he wear 35. 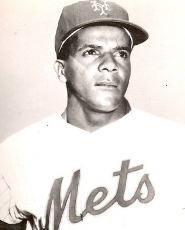 The Mets acquired veteran infielder Chico Fernandez to back up rookie starting shortstop Al Moranin 1963 but neither mentor nor protégé had a year to remember. Born in Cuba, Fernandez came up with the Brooklyn Dodgers in 1956 and had since played with the Phillies and Tigers (where he clubbed 20 home runs in 1962) but by 1963 had suddenly lost it. The Tigers swapped him to Milwaukee when rosters were cut down and the Braves passed him along to the Mets for pitcherLarry Foss. None of that deterred the Mets in June of 1989, when they sent their own flawed leadoff man, Lenny Dykstra, along with reliever Roger McDowell, to Philly for Samuel in a deal that was supposed to electrify the team. Instead, it was a trade they would regret almost immediately. Samuel was used to wearingNo. 8 and playing second base, but the Mets dressed him in 7 and played him in center field (all Samuel’s jewelry were adorned with the No. 8). 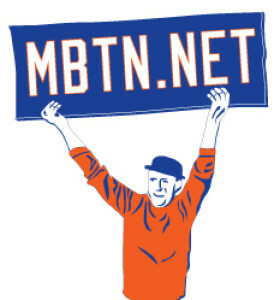 He stole 31 bases for the Mets, but reached base and hit for power abysmally, and they unloaded him the first chance they got after the season. His defense was much derided – the Yo La Tengo story probably contributed to that perception – but the stats show he played every bit as well as the average shortstop in 1962. And despite staying in the Mets’ farm system for years, Chacon never appeared with the big club again, tagged by Stengel among those players who “failed here before” and not welcome back again. Smart-aleck Met fans of the early 1960s once flashed a placard asking whether Kranepool was over the hill. Who knew? His career as an everyday player might have peaked as a 20-year-old in1965, when he played a career-high 153 games, and was named to the All-Star team for the first and only time. Kranepool had fair power, but was slow afoot, nobody’s idea of defensive wizard, and reportedly, appeared disinterested and surly from time to time. 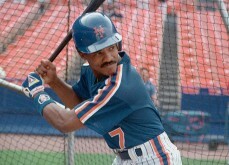 The Mets for their part seemed to be forever looking to replace him. He’d be displaced as the Met first baseman in 1969, waived and sent to the minor leagues in 1970, only to rebound with his best overall season in 1971 (143-58-.280/.340/.447 in 421 at-bats). 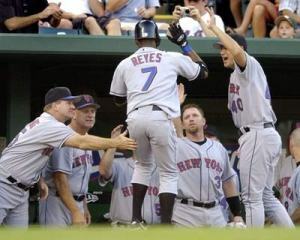 From there he became a part-time outfielder/first baseman and effective pinch hitter for the balance of his career, a role for which he finally won the admiration of fans. Kranepool hit .396 as a pinch hitter between1974 and 1978, including .486 in 1974.